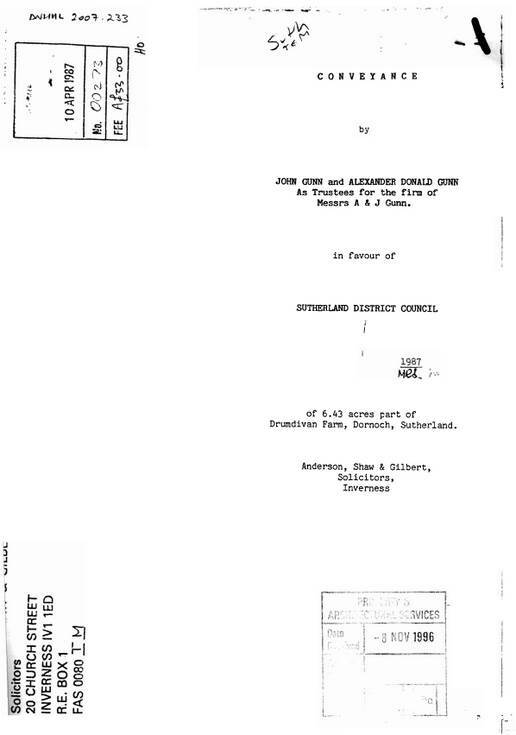 Photocopy of deed of sale of part of Drumdivan Farm by John and Alexander Gunn (now of Wick) to Sutherland District Council for £11000, dated 12 Feb 1987. Plan attached showing ground in question. 7 sheets stapled.